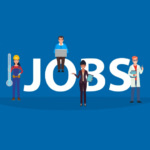 There are quiet a number of online resume builder where you input the necessary data and it will display it digitally, the only problem is the lack of control over the layout, the amount of data that can be included and most important of all, having your own domain name. 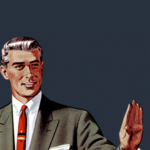 We live in a digital world, a world where almost everyone that works in an office has internet access. Together with affordable domain name and web hosting, you can easily set up your own online CV that has your name. It will cost your approximately USD50 to set up your own online CV with a reliable web hosting company. 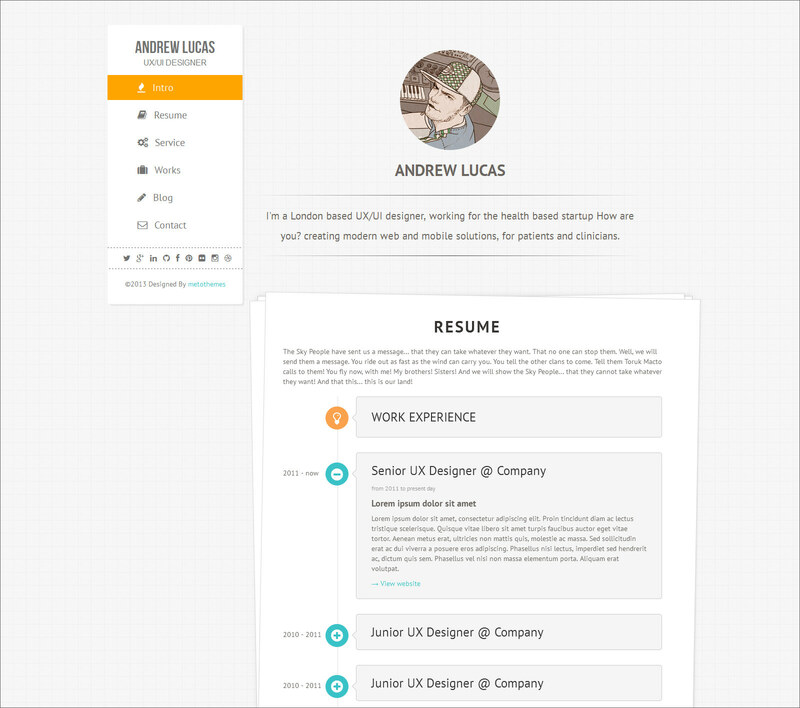 Without further ado, here are 7 amazing online resume templates. Like all things digital, minimalist and simple design language is the latest trend. Cooper has the Microsoft Design Language written all over, what we liked about this design is it is simple, easy to understand, and most important of all, it loads really fast without all those gimmick animation. Cooper Multipurpose and Multicolor Resume is a Online Business Card Resume to show your skills and work. You can also use it for Agency, Portfolio, Architec Agency, Photography Studios, etc. This design will look great on tablets such as iPad, a great way to present your work using an iPad. 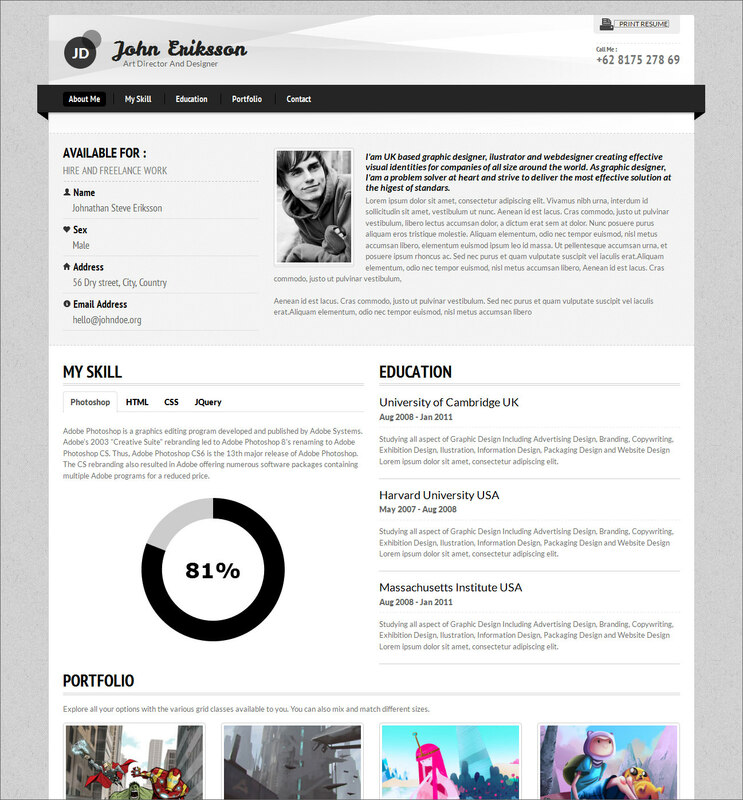 Yet another amazing and creative digital CV. 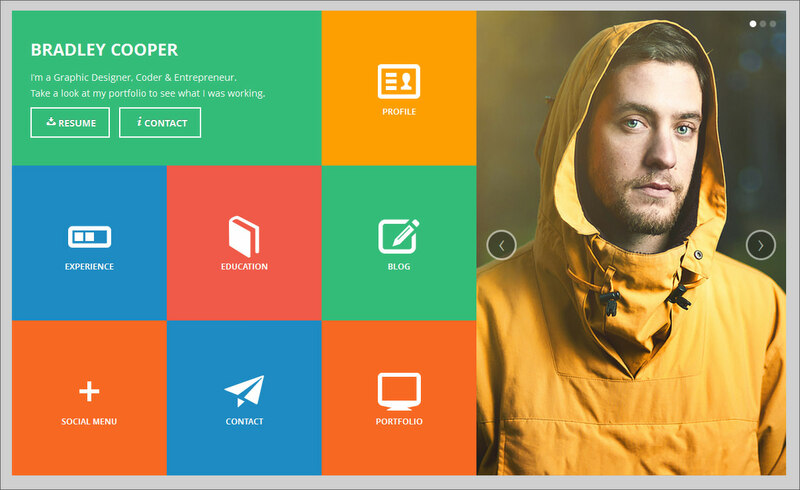 Profession is a super responsive CV HTML template with unlimited colors and 8 preset colors. You can have an excellent online resume with home, portfolio, resume and contact section. This theme also comes with a beautiful clean blog. Profession layout is horizontal on desktop screens and changes to vertical layout in tablets and smart phones. 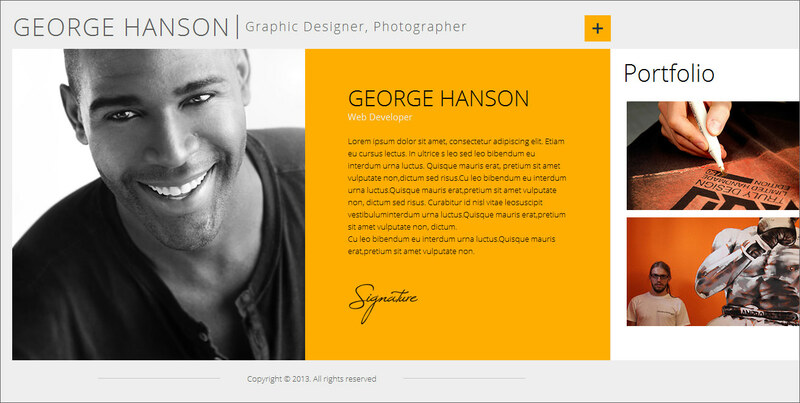 You can use quote, image, image slider, video and audio in Profession’s portfolio. AWSM is a minimalist Responsive CV/Porfolio template that will help you present yourself in an appealing and professional way. Several different color schemes will help your profile stand out. CAPTCHA and Google Maps addon will make your site look more professional. All together with stylish CSS3 and jQuery animations. Simple and clean, ideal for architects, interior designers and more. Lucas Minimalist Responsive Single Page HTML5 & CSS3 Template is responsive one page template designed on Bootstrap Front End Framework.It is designed for specially designers ,developers & freelancer to show their works. Lucas comes with WordPress version. 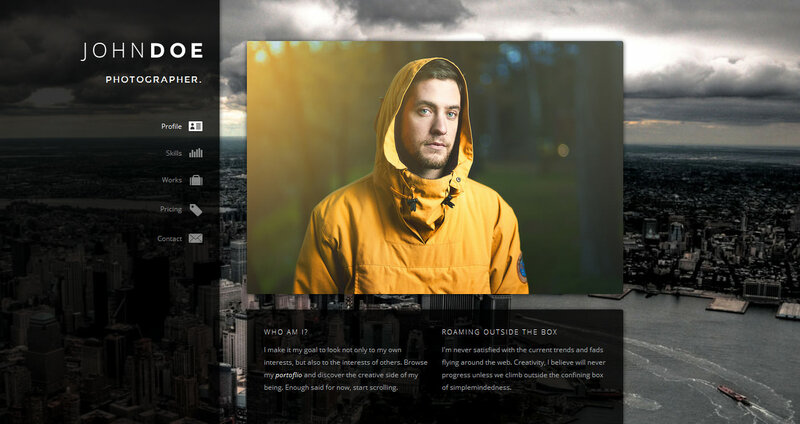 Selfless is a powerful one page HTML5 template designed for a personal or company portfolio. Using advanced jQuery features, the layout is designed for all user types providing a rich and smooth browsing experience. 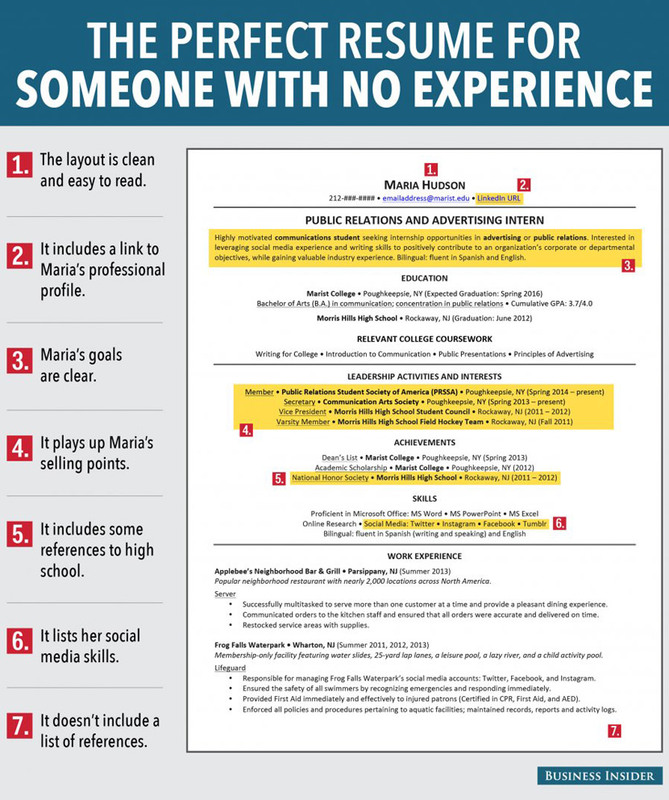 This is an ideal resume for photographers or videographers, simple yet creative. Curriculum is a responsive one page portfolio / resume HTML template with a clean and eye-catchy design, beautiful clean typography and colors, sortable porfolio & responsive lightbox-like pop-up for your projects. Ideal for graphic designers. 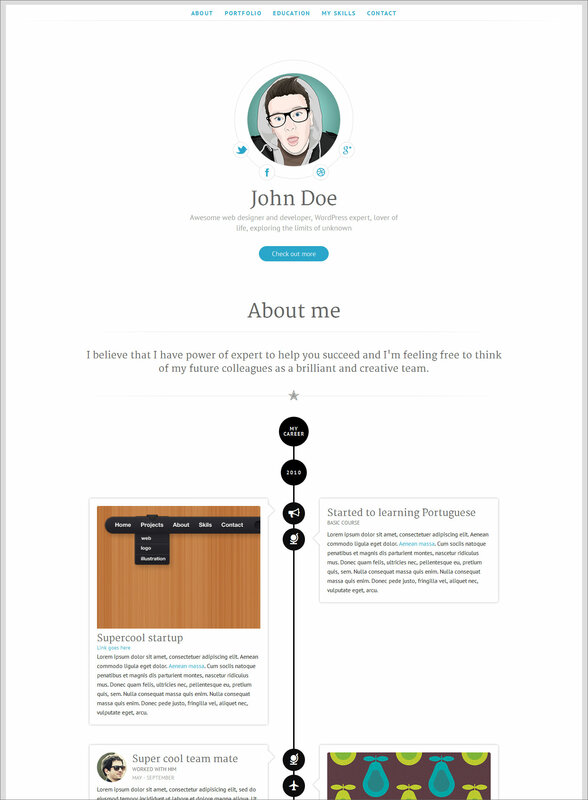 Devito Resume Responsive Template is a responsive html template support mobile version, That Will help you set up a professional online CV in minutes. With minimalist design feel, it this very good clean design. With sticky menu allows you to navigate and provides a new experience in web. wanted help to make a creative architecture resume for applying for internship. please let me know if something can be done for the same. 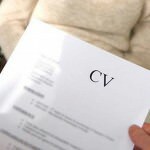 You can try your cv resume in creative !